If you are anything like me (a huge procrastinator) then you have good intentions although they tend to be very last minute. 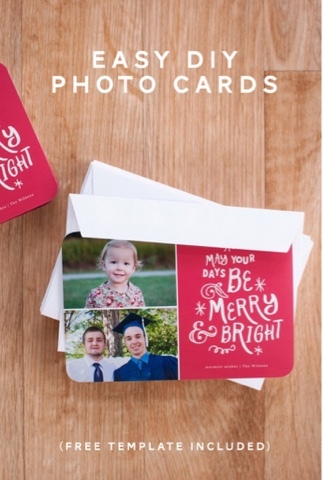 So every Christmas I have good intentions of buying my children adorable outfits, setting up professional pictures (at Walmart) and including these pictures in the Christmas cards I send out which arrive well before Christmas. But in reality I schedule the pictures way to late and the end up coming in on the 27th of December and I'm lucky if I get my cards out by New Years. 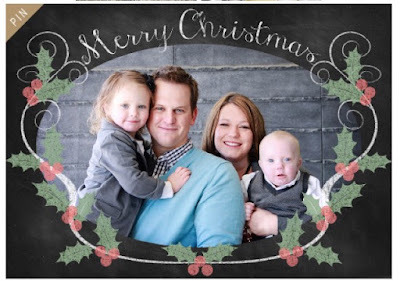 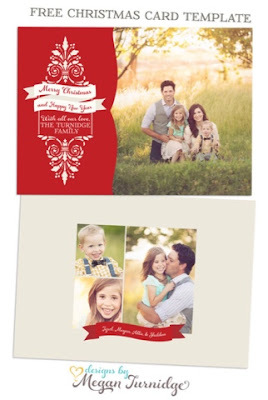 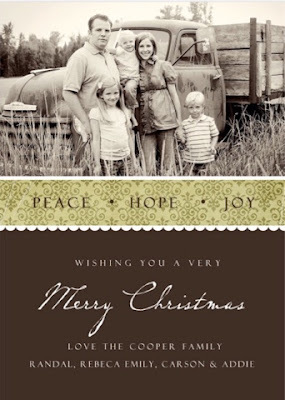 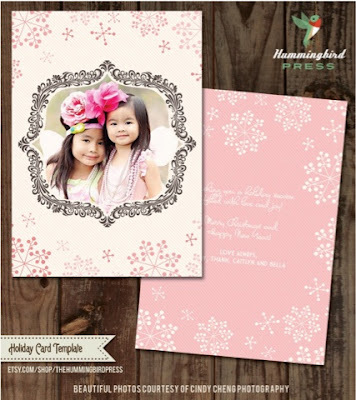 Simple Scrapper offers a free template for this gorgeous Christmas card and a great tutorial as well. 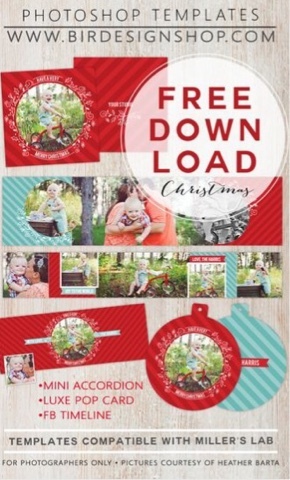 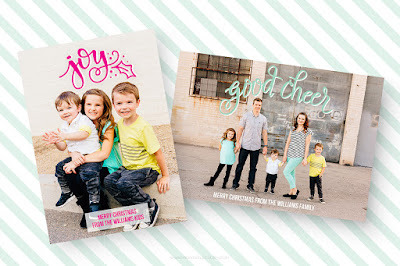 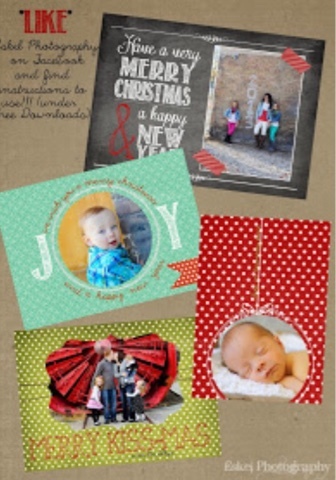 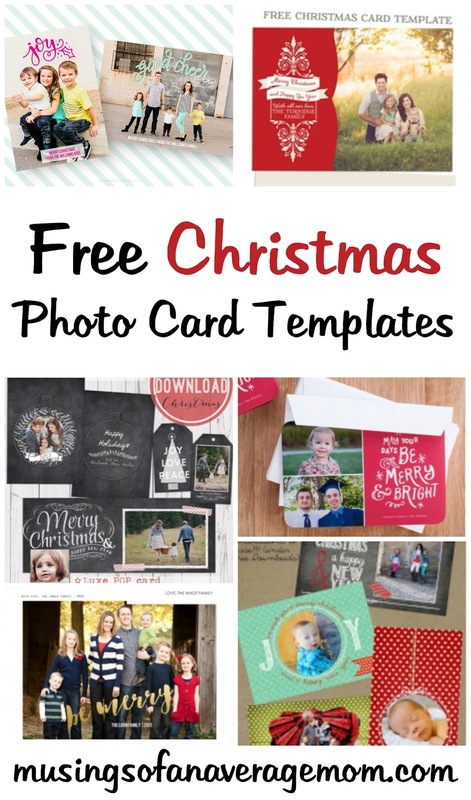 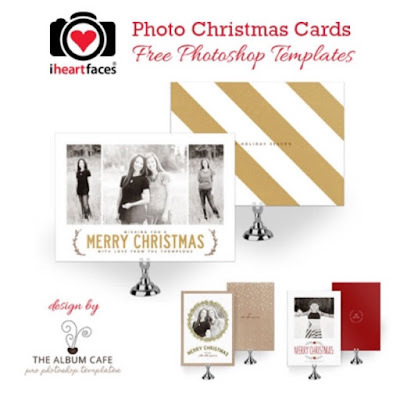 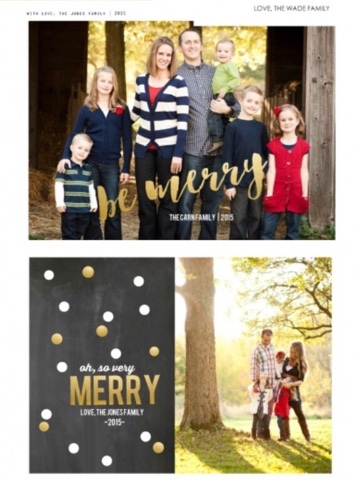 Simply + Kierste offers a couple different templates with a step by step tutorial including photos on how to edit them. 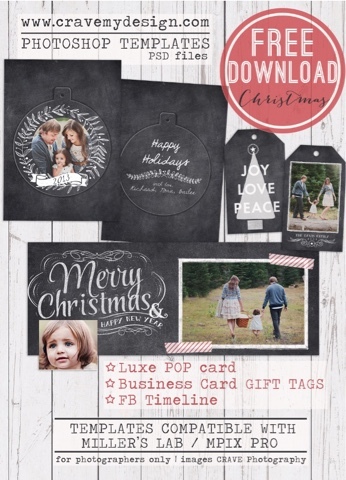 Crave my Design offers free chalkboard card, gift tag and Facebook timeline templates for Photoshop. 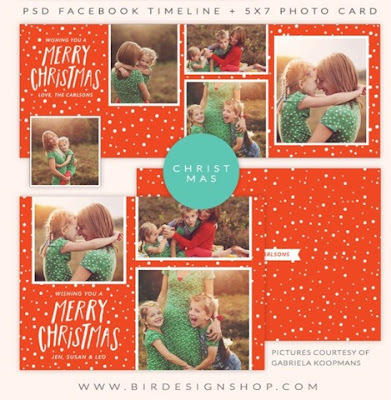 Simple as that Blog offers three free Christmas card templates including the one below and more templates available for purchase.